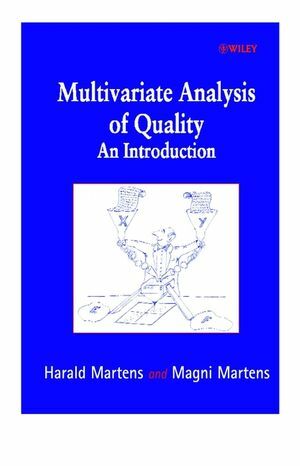 A Layman's Guide to Multivariate Data Analysis. Analysis of One Data Table X: Principle Component Analysis. Analysis of Two Data Tables X and Y: Partial Least Squares Regression (PLSR). Example of Multivariate Calibration Project. Interpretation of Many Types of Data X and Y: Exploring Relationships in Interdisciplinary Data Sets. Classification and Discrimination X_1, X_2, X_3: Handling Heterogeneous Sample Sets. Experimental Planning Y and X.
Multivariate Calibration: Quality Determination of Wheat From High-speed NIR Spectra. Analysis of Questionnaire Data: What Determines Quality of the Working Environment? Analysis of a Heterogeneous Sample Set: Predicting Toxicity From Quantum Chemistry. Multivariate Statistical Process Control: Quality Monitoring of a Sugar Production Process. Design and Analysis of Controlled Experiments: Reducing Loss of Quality in Stored Food. Appendix A1: How the Present Book Relates to Some Mathematical Modelling Traditions in Science. Appendix A3.1: Bi-linear Modelling Has Many Applications. Appendix A3.2: Common Problems and Pitfalls in Soft Modelling. Appendix A6: PLS Regression Details. Appendix A7: Modelling the Unknown. Appendix A8: Non-linearity and Weighting. Appendix A9: Classification and Outlier Detection. Appendix A11: Power Estimation Details. Appendix A12: What Makes NIR Data So Information-rich? Appendix A13: Consequences of the Working Environment Survey. Appendix A14: Details of the Molecule Class Models. Appendix A15: Forecasting the Future. Appendix A16: Significance Testing with Cross-validation vs. ANOVA.